Getting new window treatments is like remodeling the look of your home. 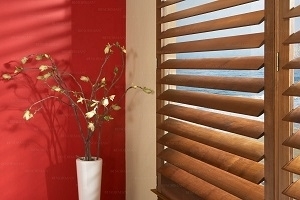 It can be daunting to choose the right shutters, blinds, or shades. You'll need a Charlotte shutter company to work with to find quality products at affordable prices in Matthews. At Sweet Shutters and Shades, we carry a full line of beautiful and durable Matthews window treatments. We have been helping home and business owners in Matthews transform the look of their residential or commercial space with affordable, quality-made window coverings. Let us show you just what a difference it will make to have help choosing the perfect shutters, drapes, shades, or blinds. Picking the right window coverings is all about making sure that you create the look you want. By letting our experienced designer help you, you can feel confident that you are going to make the smart choice for the look you want that fits your budget. Another option to consider is window shades which not only look amazing but also protects your home from harmful UV rays. These rays can fade or even damage your flooring or furniture. The right shades are the best method of protection. They will even help to keep your monthly energy bills lower by aiding in temperature control. Contact us now and let us show you what a difference true quality makes. Of course, for some people, blinds are very desirable. They are ideal for some or all of your windows and for residential, commercial and even office building space. We take this line of work seriously and it shows in the results that we get. For the best in a wide selection at beyond reasonable pricing, call on our pros. We look forward to working with you and showing you all that we can do for you. Before you make a decision, be sure that you really know what your window treatment choices are. We cover everything from simple window blinds to custom draperies – and everything in between. We are the premier resource for this type of service work for a reason. Now, let us show you what we can do for you. Get in touch with us right now and let's review the options you have for Matthews shutter company service needs. At Sweet Shutters and Shades, we know how essential it is to make the right choice in order to end up with the results that you want. Never settle for less than the best when it comes to the work you get for your home or business. If you are looking for the best Shutters, Shades, & Blinds in Matthews, NC, call 704-980-4303 for a free in-home design consultation or complete our online request form.